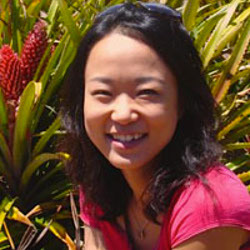 Dr. Lee has focused on providing an effective learning environment by using visual materials, introducing applets and practical examples, for Statistics (or Applied Mathematics) courses and making students understand the subject better by applying the knowledge to real world problems of their interest. Students are also expected to learn good presentation skills and attitudes in those classes. In Pure Mathematics courses, Dr. Lee has put more attention on fundamental ideas rather than just problem solving. Dr. Lee’s major research interest is mathematical modeling in practical problems, broadly encompassed in Solid Mechanics, Acoustics and Fluid Dynamics. In the topic of Solid Mechanics, a classical theory, Hashin-Shtrikman variational principle, and its reformulations are applied to various heterogeneous particulate composites, such as rocket propellants, granular media etc., that are from either computer simulation or micro-tomographic images. Optimized numerical tools have been developed to capture better morphological information of the materials. The current material of interest is Liquid Crystal Elastomer (LCE). In the research topic of Acoustics, the source of aircraft noise in turbulent flow region near the nozzle tip was identified based on the underlying physics of sound generation mechanism. It possibly brings a better understanding of noise control devices when the study is applied to different nozzle configurations. In Fluid Dynamics, Rayleigh-Taylor instability which occurs when a dense, heavy fluid is accelerated by a light fluid, penetrating into the other, followed by the development of a complex mixing layer, was studied. Closure models of averaged interfacial quantities were proposed and validated based on direct numerical simulations.